Let's practice left clicking with our computer mouse today. We will need to left click to do some virtual cooking today. Can you navigate Caillou's virtual environment? Can you follow the directions and recipes in Caillou's kitchen to cook with grandma? 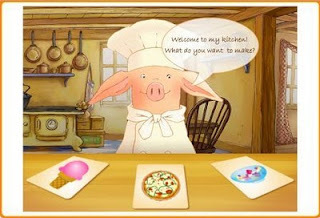 Can you make 3 different pizzas with Chef Piglet (meat lovers, veggie pizza, and a candy pizza)? 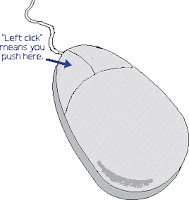 And, finally, can you use the left mouse button to cook with cookie monster?